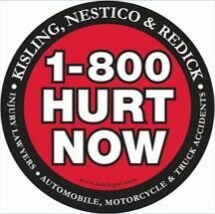 Serving the western part of the Cleveland metro region and all of Cuyahoga County and the surrounding areas from our law office in Westlake, Ohio, the attorneys at Kisling Nestico & Redick LLC devote their time and resources to helping innocent accident victims and injured workers secure the compensation and benefits they need to support themselves and their families. Handling all types of personal injury and wrongful death claims, our law firm's attorneys use their extensive legal experience and in-depth legal knowledge to advocate strongly on behalf of those who suffered an injury or loss as the result of another party's negligence or wrongdoing. From motor vehicle accidents and medical malpractice to defective products and premises liability claims, no area is beyond our scope, and we have recovered more than $450 million on behalf of those in need. When you retain our services, we will pair you with an attorney and two paralegals who are dedicated to your case. From this high level of customer commitment, our law firm has earned a reputation as one of the top personal injury practices in Ohio, and we receive many positive referrals from satisfied clients. Regardless of the complexities surrounding your case, you can trust the legal professionals at Kisling Nestico & Redick LLC to give you the personalized attention you deserve, and we will remain with you throughout the process to ensure the highest odds of helping you achieve the positive results you seek. For more information, you can contact our Westlake law office to schedule a free initial consultation.